63*88mm,57*87mm,70*120mm,88*126mm etc; up to your own requirements. Shrink-wrap / Cellophane wrap / Bubble bag etc; up to your own requirements. 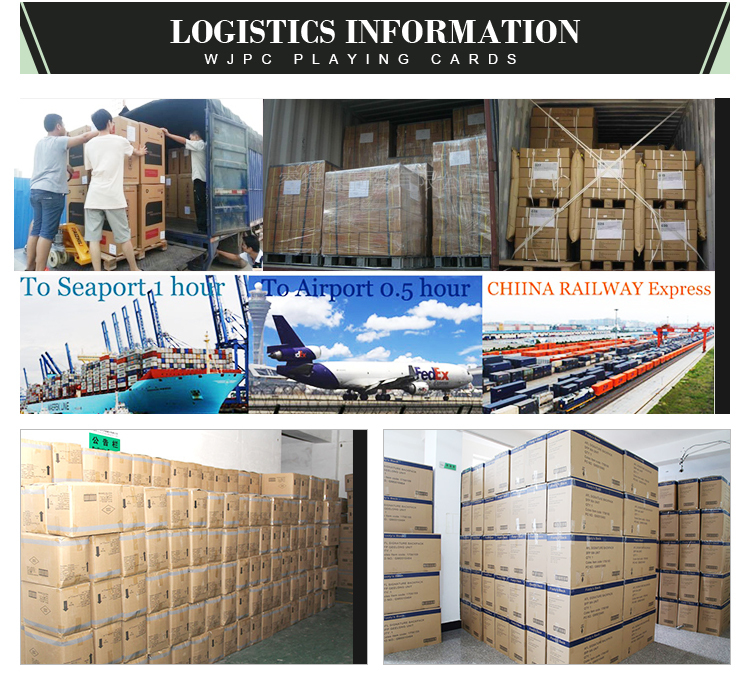 Standard export carton for save shipping. 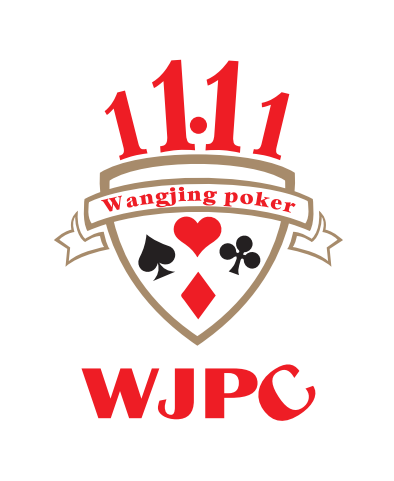 1, Are you a playing cards factory or trading company? 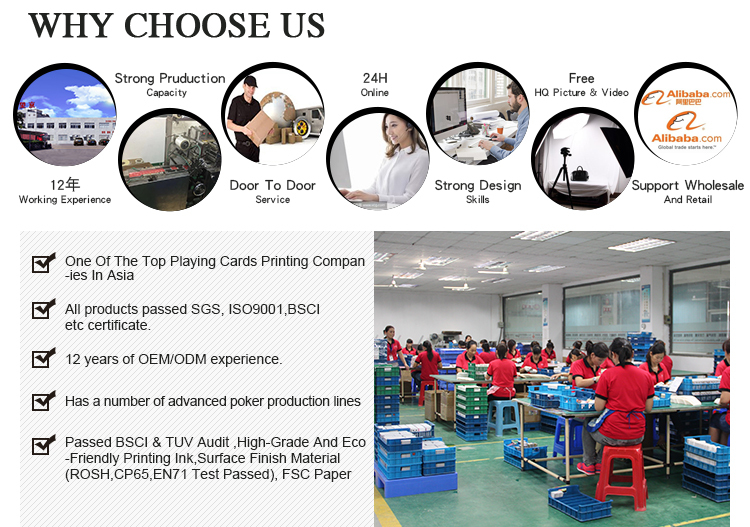 We are one of best playing cards factories in Asia for over 10 years, located in Shenzhen city, Guangdong Province, China, with 150-200 employees working here. 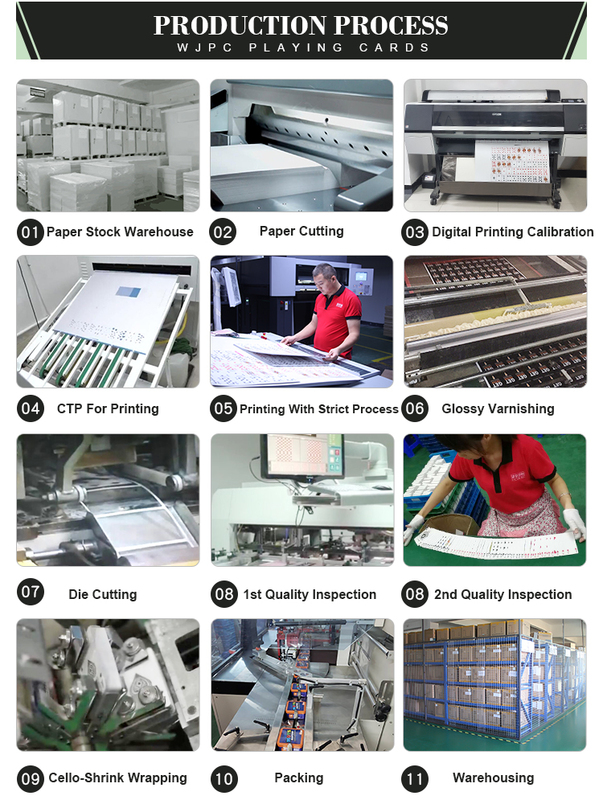 We have advance printing/cutting/packing machines too. 2, How to get a quote from you? 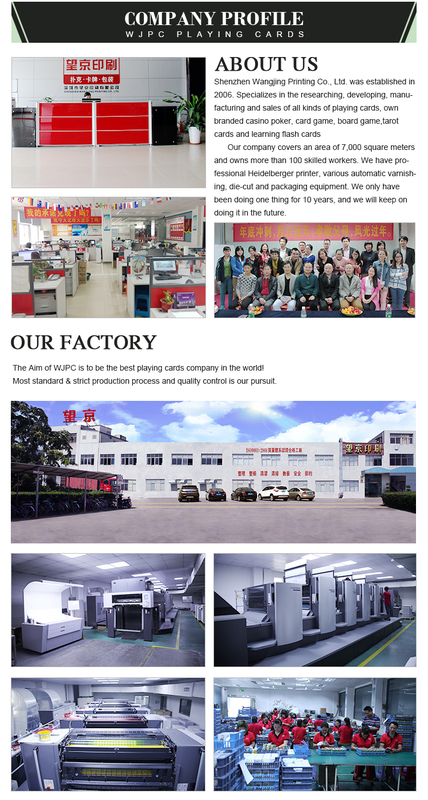 Click our Website “contact”----> then click “contact supplier”, then specify your cards detail for us to quote, we usually reply in 5-10 hours on working days, in 12-24 hours on weekend. 3, How do I place an order? 4, Do you offer templates to do designing work? What kind of formats you accept? A, Yes, we do offer templates to do designing work. B, We accept JPG, .AI, .PDF, .CDR files to print. C, Good resolution to print: Above 400 DPI, resolution also called pixels, is the basic unit of measurement for digital images. Better resolution files can get a better print. 5, Can you help designing work? A, We can help you make custom design logo for Common side. 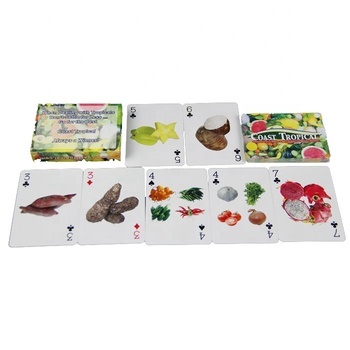 B, We can help customized Ace, Jack, Queen, King and Jokers, in the meantime, please state your detail requirements for us. 6, What is your MOQ? 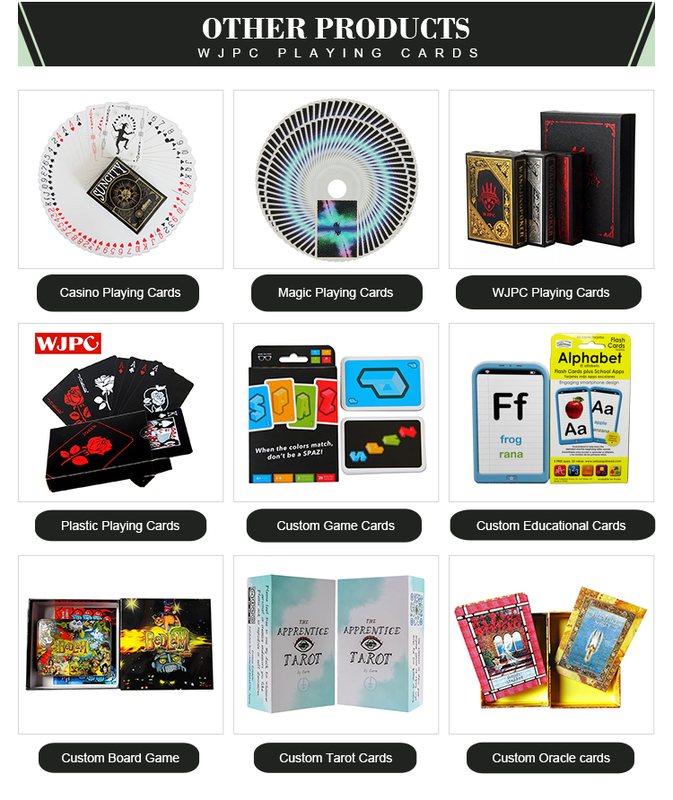 Can I make cards under your MOQ? 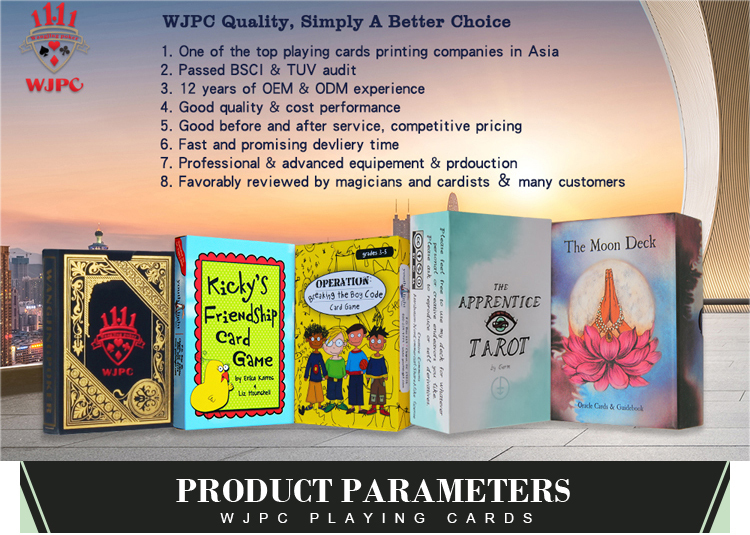 A: Our mini order is 300 decks, order under 300 decks, please check with us, we will check what is the best we can offer. 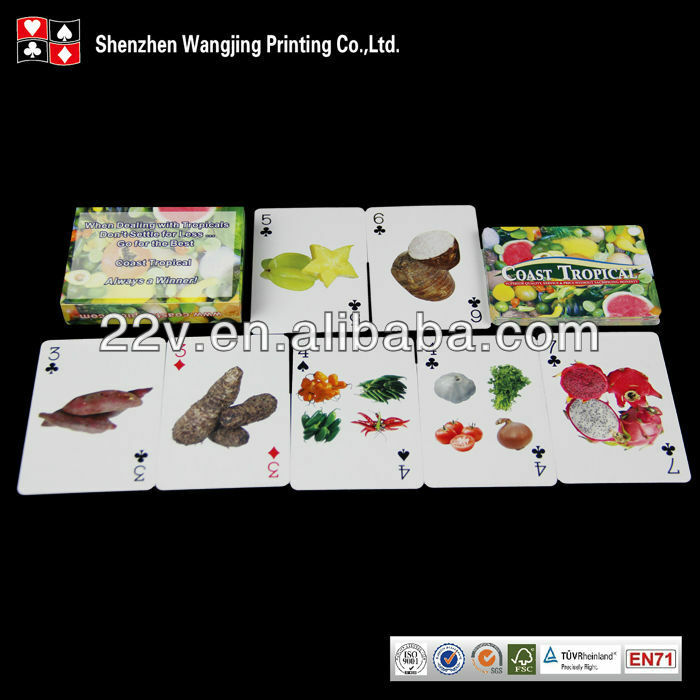 7, How to summit designing files for you to print playing cards? We are using Dropbox.com, wetransfer.com and drive.google.com to uploading the files for international clients. 8, Which payment ways you are accepting ? A, Paypal, Western Union and by bank transferring. B, Doing business with us on our alibaba store, get more flexible payment ways: VISA, Mastercard, E-checking, T/T and L/C. C, 30% deposit before order production, before shipment 70% balance + shipment cost need to be paid. 9, Do you ship internationally? A, Yes, we do, We also can ship good to Amazon warehouse too, but for the tax and duty charge, it is our recipients responsibility for any customs duties or taxes imposed by that country, which are collected by Customs. 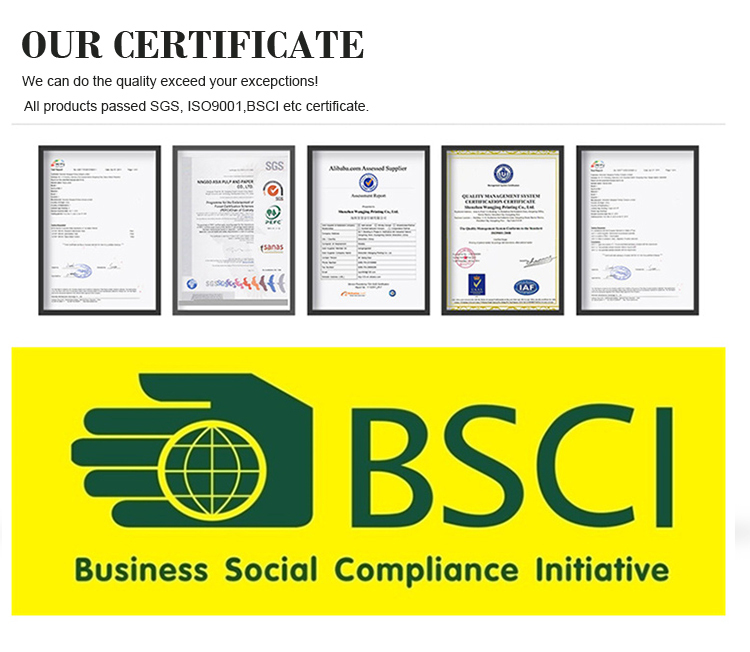 Please check with local government agency or contact shipper/broker to know more. B, We have official DHL&Fedex shipment way, agency DHL/Fedex/TNT/DPD&Aramex way to deliver the goods internationally. For bulk goods shipment, we have quick type sea shipment and slow sea shipment to choose too. 10, Lead time for production? It takes 18-25 working days to finish an order production after you confirmed the e-proof we offer back for you to check.